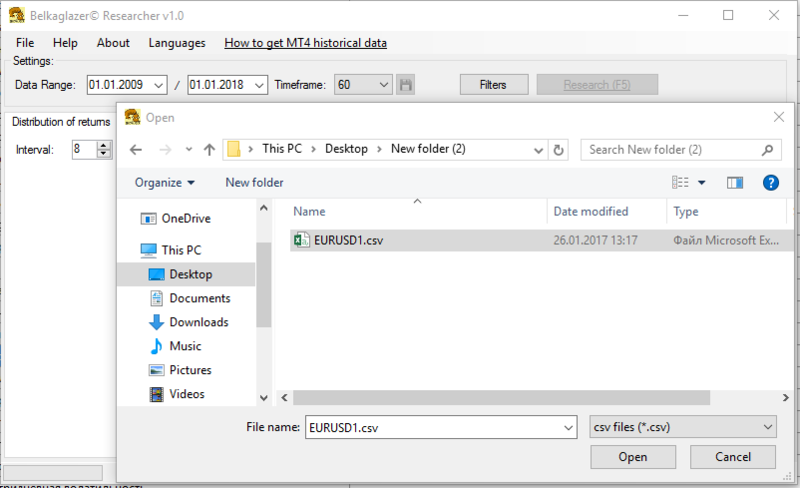 You can download the MT4 historical data (GMT+2, DST: Europe) from the Download page. 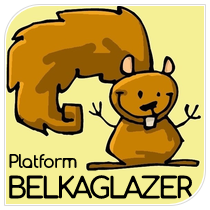 Go to the Tools menu and select History Center. You can also press F2 to get to this quickly next time. When the History Center screen comes up, double-click on the currency pair that you want to download (for example, EURUSD). Click on the Download button. It may take a few minutes to download the data. Double-click on the M1 period (timeframe) with the gray icon. The number of records is shown at the top of the screen. Click the Export button to download the complete history (.csv file) from your broker. Go to the File menu and click Open. 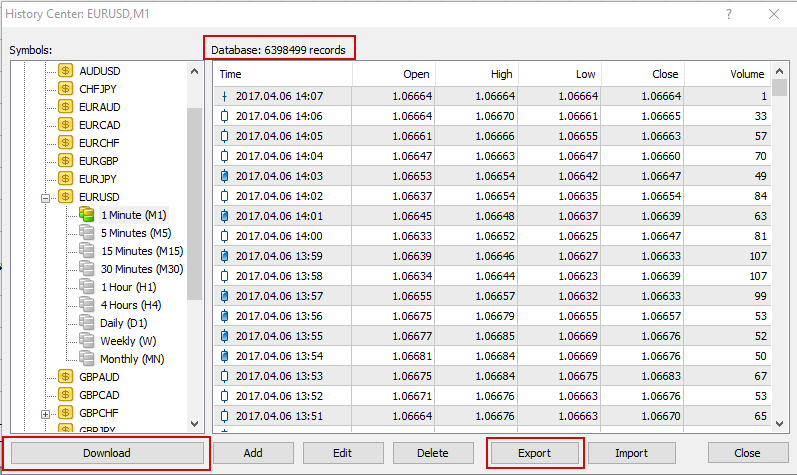 Select the .csv file that you want to load (for example, EURUSD1.csv). Click the Open button. It may take a few minutes to load the data.